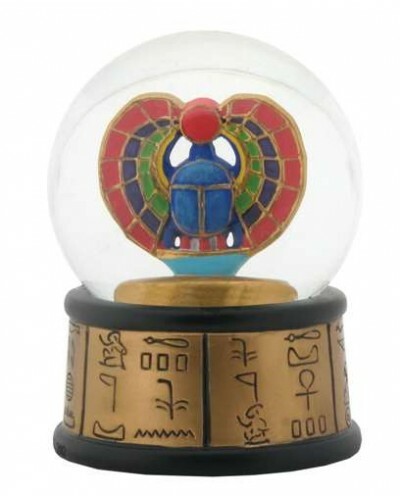 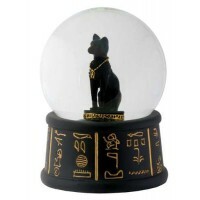 The 65mm water globe sits on an hieroglyphic base with statue of Khepri as a winged Scarab in color inside. 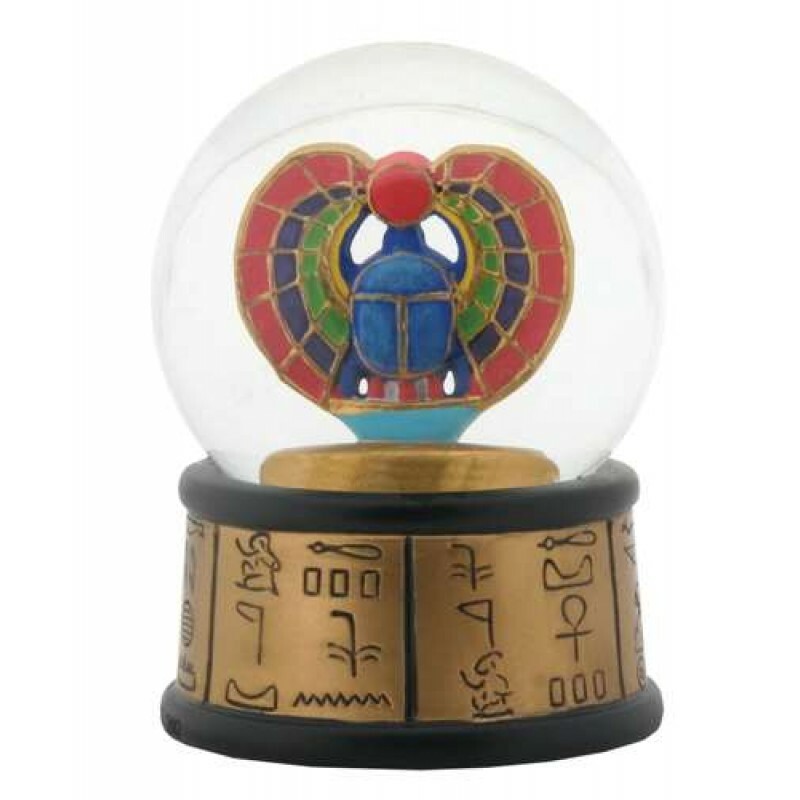 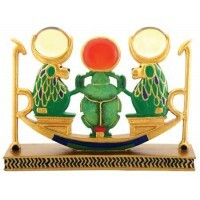 Khepri stands in the center of this water globe in gold and hand colored accents with a hieroglyphic base. 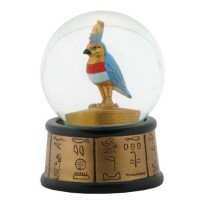 It stands 3 1/2 inches high and is made of cold cast resin with glass globe. 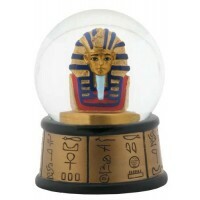 Item Number: YT-8048 | Approximate Size (Inches): 2.50 wide x 2.50 deep x 3.50 high | Approximate Shipping Weight: 1.50 lbs. 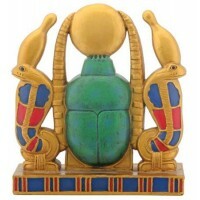 Khepri is represented as the Scarab beetle with sun disk on his head. 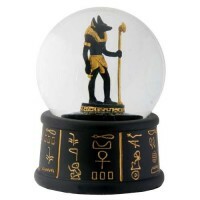 He si.. 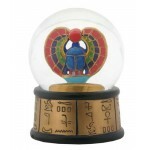 Cold cast resin with fine hand painted detail, this lovely statue is 4 1/4 ..